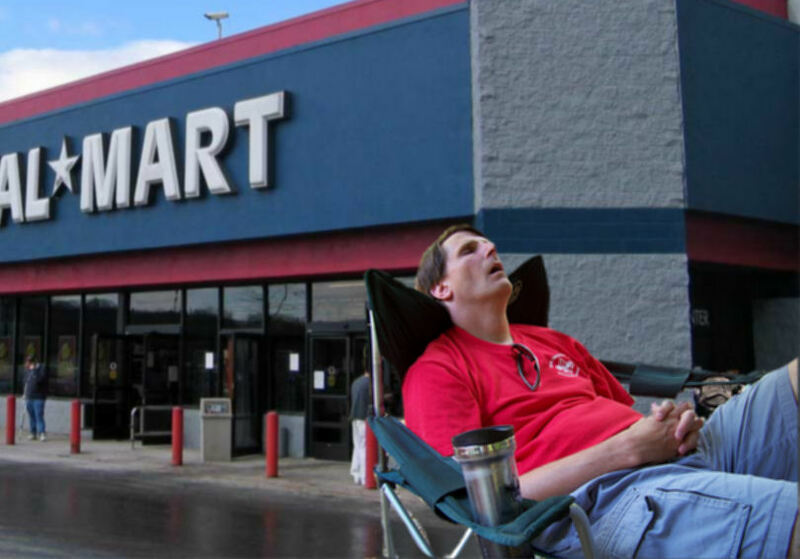 According to Walmart security, the occupy protest began with just one man, who had a folding chair, a sleeping bag, a radio and a thermos. He set his equipment down at the South West corner of the parking lot and just sat down. Pretty soon he was joined by a handful of people, and then within one hour there were approximately 300 protesters camped out in the parking lot. By the time night fell there were well over 1000 people in the parking lot. 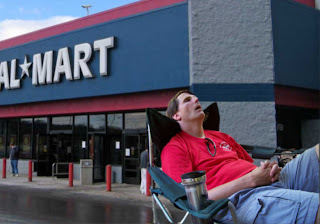 A spokesman for the store told us, "I have no idea why the protesters are targeting Walmart stores, we support the common person with our everyday low prices and loose employment guidelines. Although Walmart is an incredibly rich corporation we are always giving back to the community in a number of different ways. 84% of the 99% spend 72% of their income at Walmart." Slap the Penguin has identified the instigator of this occupy as Frank Mulroney, a 35 year old unemployed sheet metal worker from Little Rock. We asked him about his motives for starting this protest against Walmart. "I didn't start a protest," Mulroney told us, "I am just getting in line for the black Friday sale. I want to get that $85 laptop so I can play Farmville without having to get out of bed." 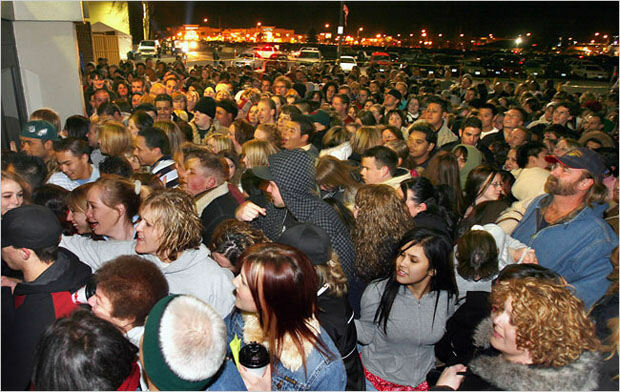 He continued, "This is all a big mistake, I don't even know any of these people and now I have lost my place in line." Thanks to people like Frank, the occupy protests have moved from Wall Street to Walmart, and nobody has any idea where these people with nothing better to do will strike next. Poor Frank! It looks as if Black Friday has indeed turned black for him. He may have to wait until next year to get that laptop. This protest will cause nothing but confusion during the holidays. You can't tell the Occupiers from the shoppers! The right-wing pundits were right! They have moved on to lawless chaos! They will be trampling people in no time!